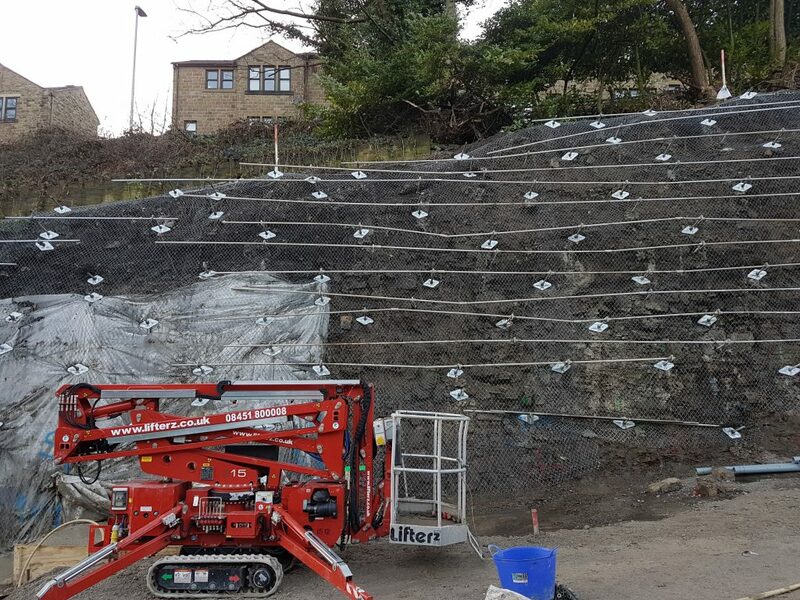 This week, Condor Projects has continued with the installation of towel rails upon the bank located on Salterhebble hill, Halifax. The towel rails locate through eyes which are threaded upon the soil nails and rock anchors drilled into the bank to be stabilised. Although non-structural in terms of bank stabilisation, these towel rails will form the mounting structure upon which both the mesh and “wild flower” growing bags will be hung. As a specialist contractor, Condor has acquired the use of a spider lift in order to safely reach the towel rail locating holes. As always, we will keep you updated with all of our projects.